DriveCRASH, Drew Technologies’ collision repair-focused diagnostic platform, has been officially approved by General Motors for its Collision Repair Network. 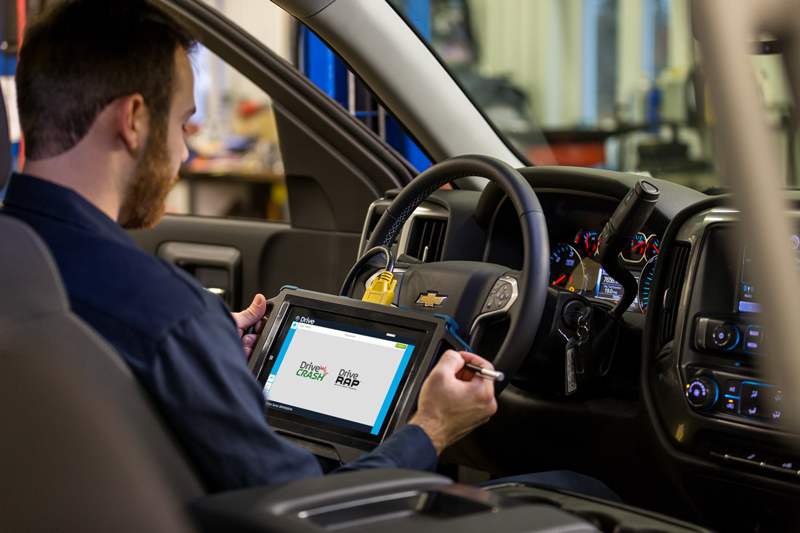 GM approved DriveCRASH as a Diagnostic Scan Tool that can provide full OEM coverage, including read/clear diagnostic trouble codes (DTC), data PIDs, Special Functions/Output controls and SPS reprogramming. DriveCRASH combines Drew Technologies’ CarDAQ-Plus 3 J2534 interface with GM’s Global Diagnostic Software 2 (GDS2) and Tech2WIN, providing complete OEM coverage for both Global A and non-Global A vehicles, model years 2004 and forward. DriveCRASH, Drew Technologies’ collision repair diagnostic platform, has been approved by General Motors for its Collision Repair Network.